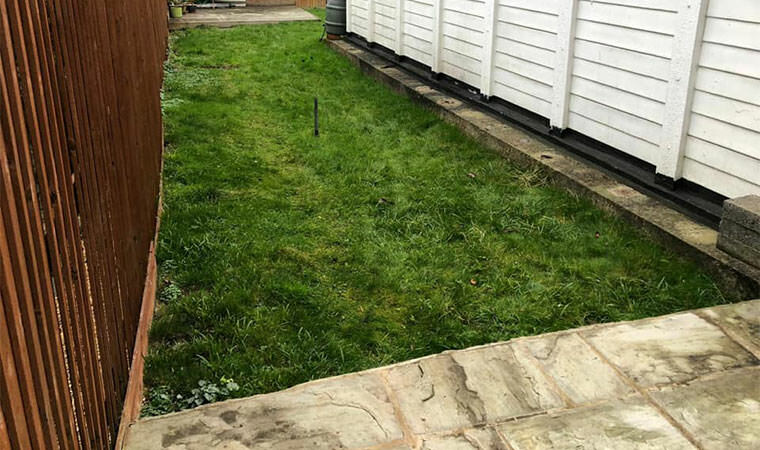 This back garden in Beckenham, London was a bit of an unusual shape and it had a drainage issue in the lowest point. 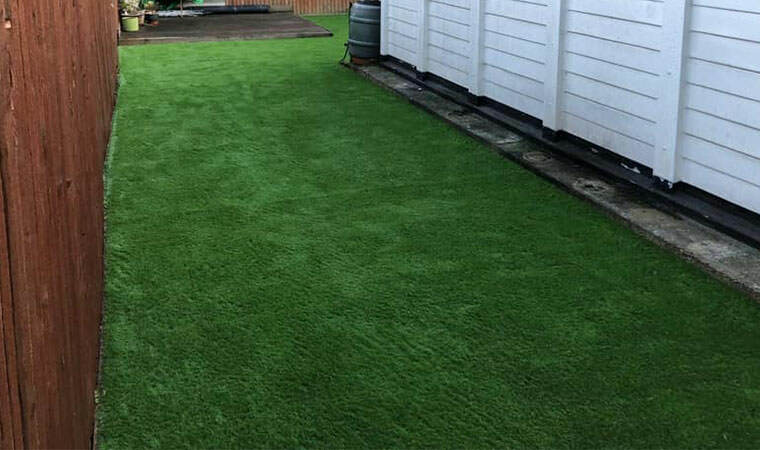 Our task was to firstly sort out the drainage issue and then lay the grass. To improve the drainage we excavated down to below 6 inches and filled it with stone to create a mini soakaway. We added a mighty 8 tonnes of Type 1 to the rest of the area before fitting the Rectory grass.